A lightweight, non-metallic composite toe keeps you safe on the jobsite. The Merrell Women's Fullbench are built with a quick lacing system, breathable mesh construction, and lightweight non-metallic composite toe. 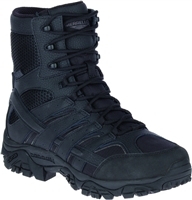 Merrell Men's Moab 2 Mid Response Tactical Boot offers comfort and performance. The Merrell Moab 2 Tactical Boot provides dependable performance when your job requires a tough boot. The Moab hiker is a premium waterproof leather boot with durable rubber reinforcements and a lightweight, non-metallic composite toe make the Moab 2 Vent Mid Waterproof the perfect boot for outdoor work. 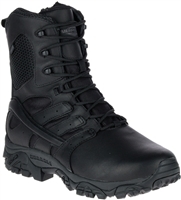 The Merrell Men's Moab 2 Tactical Response boots provide the performance you can trust. These boots will keep your feet warm, comfortable and watertight even on the coldest job sites. 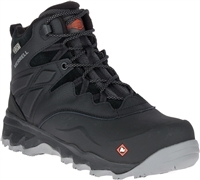 The Merrell Men's Trailwork Mid safety boots provide all-day support and advanced performance. The Merrell men's Phaserbound Zip are a premium full-grain waterproof leather safety work boot.